Arizona Geography cannot be "summed up" in just a few short paragraphs. Why? Because geography, which is really the science that relates to the earths surface, commonly associated with such things as the climate of Arizona, varies greatly throughout the state. Arizona ranks sixth in size in the United States, totaling an area of 113,998 square miles. Arizona's mean elevation is about 4,100 feet. It is just about as wide as it is high. From north to south, it equals 392 miles and 341 miles from east to west. On the western border, Arizona Geography is characterized by the Colorado River. The Colorado is the most important river, which enters the state in the north and flows southwesterly to the Arizona's western boundary cutoff. The Colorado River follows this boundary south into Mexico. On the northeastern corner of the state where you will find what is referred to as "the four corners," where the four states, Arizona, Colorado, New Mexico, and Utah, meet. You likely already know that the weather certainly can differ greatly depending on where you travel here in Arizona. And, there is a very good reason for this. I, for one, was misinformed about the geography and climate here in Arizona, up until the time that I became a full time resident of the state. It is very easy for us to think of Arizona as nothing but desert when in fact, in more than half of the state of Arizona, you will find mountain and plateau areas. In addition, you will also find the largest Ponderosa Pine forest in the United States. If you are looking for a little "geography tune-up," here are some interesting Arizona Geography facts that you may find very interesting. First of all, Arizona can be divided into three major land areas, which are: the Colorado Plateau, the Transition Zone and the Basin and Ridge Region. The Colorado Plateau is considered a flat, dry, and a semi-desert region, covering the northern two-fifths of the state of Arizona. The Colorado Plateau was created by rivers that have carved deep canyons into this region. The most famous canyon, of course, is the magnificent Grand Canyon. The Colorado Plateau, originally named "Colorado Plateaus" by explorer John Wesley Powell, consists of an area totaling more than 130,000 square miles. It is comprised of a huge basin which is filled with plateaus, ancient volcanic mountains at elevations ranging from 5,000 to 13,000 feet. The Colorado Plateau region is also home to a number of U.S. national parks and monuments. Due to the Arizona Geography throughout this region, you will find sparsely vegetative areas. Northern Arizona lies on this Colorado Plateau, consisting of an area of dry plains totaling more than 4,000 feet and deep canyons. The Little Colorado River, runs through the plateau and the Painted Desert. The beautiful result of this can be seen with colorful layers of sediment that has been exposed along with the Petrified Forest National Park. Here, you will see an area consisting of beautiful petrified wood. The southern edge of the Colorado Plateau is marked by a geographical area known as Mogollon Rim. The Colorado Plateau also has a lot of Arizona Geography as well as history to it, too. According to author F.A. Barnes, who is an expert on the region's geology, The Colorado Plateau, "as a distinct mass of continental crust, is at least 500 million years old and probably a lot older." The author elaborates and explains that its age is very "impressive" when considering the continental drift theory. There are also other forces that have contributed to the Grand Canyons formation, like continental drift, volcanism, and variations in the earths orbit which in turn has effected the seasons and climate in Arizona. The Colorado Plateau, includes the Grand Canyon, and has been studied for better than 150 years by scientists. Just exactly how the the canyon was formed still baffles scientists and others as well. No one knows exactly how the canyon was created, although many feel they have a pretty good idea. One thing scientists do agree on, however, is that the Grand Canyon was carved by erosion with the help of the Colorado River. Apparently though, according to scientists, the Colorado River took with it the evidence of the history of earlier times. You may wonder why the Grand Canyon looks the way it does. Well, it is quite simple, long ago there were some very big mountains that existed where the Grand Canyon sits. Over the millions of years of erosion, these mountains eventually leveled out. Changes in climate resulted in the oceans moving, causing layers of rock deposits. Through time, the rock layers were deposited on top of one another. Sometimes there were long periods in between in which some of the upper layers were eroded away, sometimes completely. Due to the soil in the Grand Canyon being very hard and unable to absorb water when it rains, the plants that do exist in the Grand Canyon have very short roots systems as a result. So, when it does rain, it usually rains very hard. This adds to the problem because the roots are not able to hold the soil in place, thus making the erosion inevitable. There is no place for the water to go because it cannot be absorbed, so the water simply finds its way to the Colorado River. Scientists have revealed that between a period of 300-400 million years, the land mass that would become the North American continent, made its way north from the South Pole, as it pulled away from Asia, Africa, and South America. This Colorado Plateau region drifted westward taking on rising seas. This sequence of events caused the entire Colorado Plateau region to accumulate large quantities of sediment. The weight of the sediment caused it to sink. Added into the mixture of heat and pressure, actually hardened the deposits into several miles of thick sedimentary rock. What I find interesting from the information I read in the Columbia Encyclopedia, is that the Colorado Plateau region didn't seem to move as the rest western part of the United States did, some 10 million years ago. It remained stationary but it did eventually reach a few miles higher above sea level elevations. If you would like to read additional information on the theory of how the Grand Canyon was formed, there is a book titled "Carving the Grand Canyon," written by Wayne Ranney, which might be of interest to you. In the southern half of the state Arizona geography consists of desert basins and mountains. The Gila River, is a major tributary to the Colorado Plateau region as it flows westerly across the entire state. This area has desert plains separated by mountain chains running both to the north and to the south. The Arizona geography in the west plains fall to the relatively low altitude. Arizona geography of course includes mountains which receive much more rain than other areas of Arizona geography. Some of these mountainous areas receive quite a bit of rain, upwards of 30 inches, while the rest of the state is lucky if it sees one-third of that. Arizona geography is much of what Arizona's history is all about. Arizona geography has been shaped by the inadequate water supply here, and ever since the early part of the 20th century, there has been numerous irrigation projects that have been built. The Transition Zone sits below the Colorado Plateau Zone sits in the middle of the three zones. According to Netscape.com, The Transition Zone is a narrow strip of land which is characterized by rugged mountain ranges and valleys. Mountain ranges included in The Transition Zone include the following: The Mazatzal, Santa Maria, Sierra Ancha, and the White Mountains ranges are found in the Transition Zone along with the Salt River Canyon. Due to the fact that The Transition Zone area consists of both steep and rocky topography, you are not going to see grasses in the more rugged areas within this zone. Certainly, though, you will lilely see grass where there lies flatter terrain areas, such as any of the local parks. The landscape was not something that prospectors prior to the 19th century, were fond of, thus The Transition Zone area wasn't really "tapped into," so to speak. Since the 19th century, however, more than 90 percent of Arizona's mining activity has taken place in The Transition Zone area. Wikipedia describes the Basin and Range Region as "a particular type of topography that covers much of the southwestern United States and northwestern Mexico that is typified by elongate north-south trending arid valleys bounded by mountain ranges which also bound adjacent valleys." The Basin and Range Region covers much of the southwestern United States and northwestern Mexico. The Basin and Range Region covers not only parts of Arizona, but also New Mexico, Utah, Texas, Oregon, Idaho, and California, and most of Nevada. It is characterized by the arid valleys and nicely complimented with mountain ranges and valleys. The Basin and Ridge Region sits south of the Transition Zone and can also be found on a small section along the western border of California. The names of these mountain ranges are known as Chiricahua, Gila, Huachuca, Hualapai, Pinaleno, Santa Catalina, Santa Rita, and the Superstition Mountains. Down below are the low fertile valleys and when adequate water exists here, the valley areas throughout the Basin and Range Region supports various farmers crops such as cotton, lettuce, citrus and various melons, too. It is an area that is known for its sparse population, although that seems to be changing as Arizona continues to increase with its population numbers. It is an area which is dependent on ranching, and mining. More recently, though, the area has prospered through its tourism. In 1889, C. Hart Merriam noted that there were six different life zones here in Arizona. Merriam correlated these with latitudinal vegetation zones ranging from Sonora, Mexico, stretching to the Arctic coast of Canada. It was Merriam who developed the concept of Life Zones, which can be described as an area of vegetation and animal life. This Arizona geography concept known as "life zones," characterized but the "life forms" that exist within it. It should also be noted that there isn't any other area here in the States where more variations of life zones, land forms, animals, and plants than the state of Arizona. 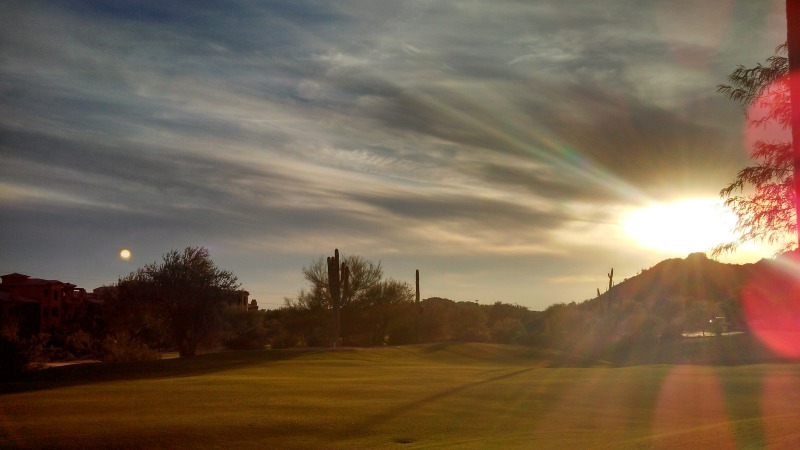 Below are brief overviews of the characteristics of the life zones as they occur in Arizona. Note that there are ranges of minimum and maximum elevations for each zone. The location of boundaries between life zones varies according to slope exposure, especially. In the northern hemisphere, life zones will be higher on south facing slopes than north facing slopes while some zones contain more than one biotic community, reflective of the climatic and ecological variations. Arizona geography includes these six "life zones," and are listed below. Each life zone will include the elevation along with other interesting facts. This vegetation of Arizona Geography life zone is correlated with the hot desert of our southwest. The Lower Sonoran Zone is found below 4,500 feet where creosote, jojoba, mesquite, paloverde, bursage and cacti can be found. The plants in this zone are able to sustain the intense summer heat and require little precipitation. It is a good thing, because the average is 10 inches or less! Spring means flowers and if there is adequate rain, you will be able to see flowers here in the Lower Sonoran Life Zone. The Spring annuals here in Arizona will survive for many years sometimes and when the time is right, you will be in for a treat as they blossom into beautiful flowers. These types of plants are commonly referred to as ephemerals, which translates into "short duration," meaning you better get a close look and take any pictures because they develop before you know it and are gone just as quickly. This Arizona Geography life zone includes elevations ranging from from 3,500-4,000 feet to about 7,000 ft in elevation. In this life zone, woodlands, pinyon pine/juniper, evergreen oaks, manzanita, the Arizona chaparral of leathery leaved scrub oaks, buckthorn, mountain mahogany, grassland and sagebrush. The total annual precipitation can vary anywhere from 8 to sometimes more than 20 inches. Canadian Life Zone is filled with the Douglas Fir. You will also find the White Fir, too. There are some other pines throughout the Canadian Life Zone are also characteristic, such as the Deciduous Broadleaf trees like the Gambel Oak, and Quaking aspen. The elevation of the Canadian zone in Arizona ranges from 7,500-8,000 ft to 9,000-9,500 ft; and precipitation from 25 to 30 inches. This life zone provides much Arizona Geography! This is a Ponderosa Pine forest. This Arizona Geography life zone is characteristic of elevations from 6,000 to 9,000 feet. The forest is characterized by its large standing Ponderosa Pines that are found throughout the area. You will also discover some other pine trees, such as Douglas firs, Junipers, and Gambel Oaks. With the Transition Zone, you are going to find more precipitation and cooler temperatures than in the other Arizona Geography life zones. In southeastern Arizona the Ponderosa Pine, is also widespread with species of other species of pines, such as Apache, Chihuahua and Arizona Pines. These additional pine trees mentioned are characteristic of the Montane Forests of the Sierra Madre Occidental located in Mexico. A fair amount of precipitation here, as it ranges anywhere from 18-26 inches. Hudsonian Life Zone, in other words, pines galore! This alpine area is filled with various firs. Such species include Engelmann and Blue Spruce, Alpine fir and also the Bristlecone Pine. You will see that this is a high elevation life zone in Arizona Geography. As mentioned, many pines exist. Few shrubs however, do not. You will also notice that the coniferous forest trees become stunted at this elevation. The Hudsonian zone varies from 8,000-9,000 feet to 11,500 feet and receives 30 to 35 inches of precipitation a year. Arctic-Alpine Life Zone. This Arizona Geography life zone refers to the "treeline." It corresponds to the Arctic tundra and here, you will find that there are two types of habitat. The types of habitat are situated at the tops of the highest mountains where lichens and other plant life survive best. Grasses, herbs, rushes, sedges, and lichens are found here. From the latter part of November to the early part of April, you will find snow on elevations between 11-11,400 feet. Plenty of precipitation falls here, receiving 33-40 inches a year. Another interesting Arizona geography note for you is that there are about 50 different species of plants here in Arizona within the Arctic-Alpine Life Zone. According to Radford University, there is about "40 percent of those species which are disjunct from the true tundra of the higher latitudes, and 15 of these are circumpolar in their distribution--meaning that they occur in Arctic areas of both Eurasia and North America. Only two plant species are endemic; one of these is a groundsel." If you think that Arizona Geography is boring, perhaps you think otherwise now. Hopefully you learned some very interesting things about Arizona Geography as I did!